Probably the most well known person-to-person auction site. This is the UK version. There are thousands of products advertised in all sorts of categories, from flights and holidays to toys, cars and designer clothes. AbeBooks is the world's largest online marketplace for books. Whether it's new, secondhand, rare, or out-of-print, you can find it here, through our community of thousands of independent booksellers selling more than 110 million books from around the globe. 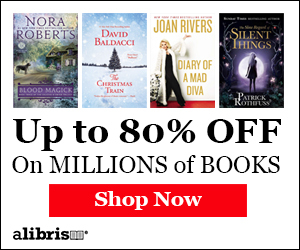 Alibris connects you to thousands of independent book, music, and movie sellers around the world. With over 60 million used, new, rare, and out-of-print titles, they have what you're looking for! Buying or selling a second hand bargain? Preloved is packed with nearly new and really old bargains in over 500 categories. What's more, all private adverts are free! This site really does sell everything you can think of, from rowing machines to maternity clothes. Vestiaire Collective is a resale community, over 700,000 strong, dedicated to luxury fashion. All collections are curated and undergo strict tests to guarantee quality and authenticity. Renew your wardrobe by buying and selling fashions globally. Bikesoup is a marketplace for new and used cycles. Negotiate price and transact within their safe and secure platform that makes finding your next bike a breeze. Need to sell your old bike? Listing is free and takes seconds. Currently the biggest categories are Art, Jewelry, Stamps, Watches and Books and the products offered by users are rare, unique objects which can’t easily be found in stores.